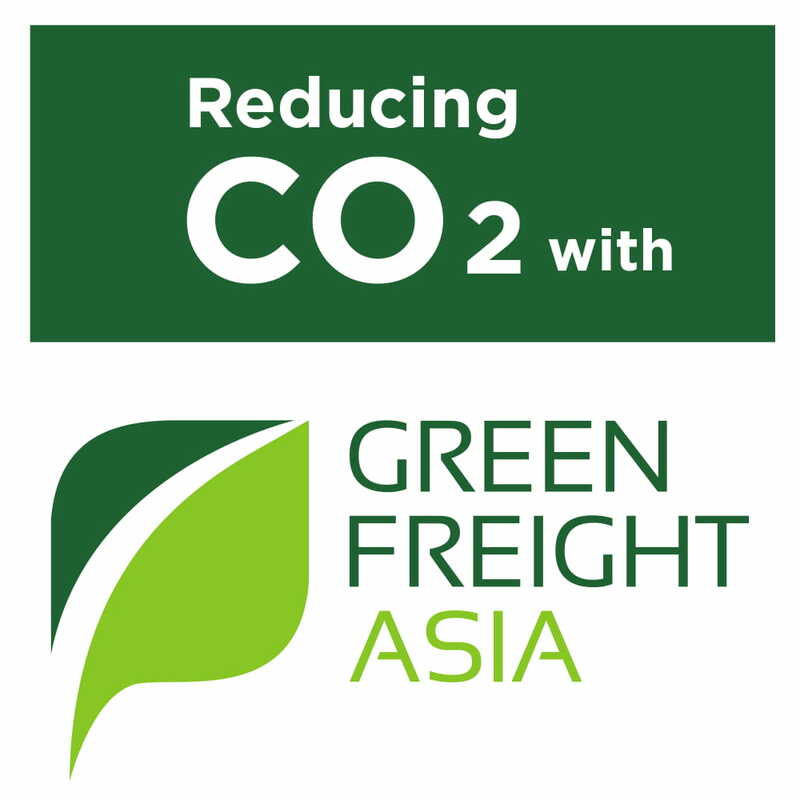 GFA will be holding the second session of its Green Freight Leaders Society (GFLS) and this time it will be in Shanghai, China on 12 July 2018. 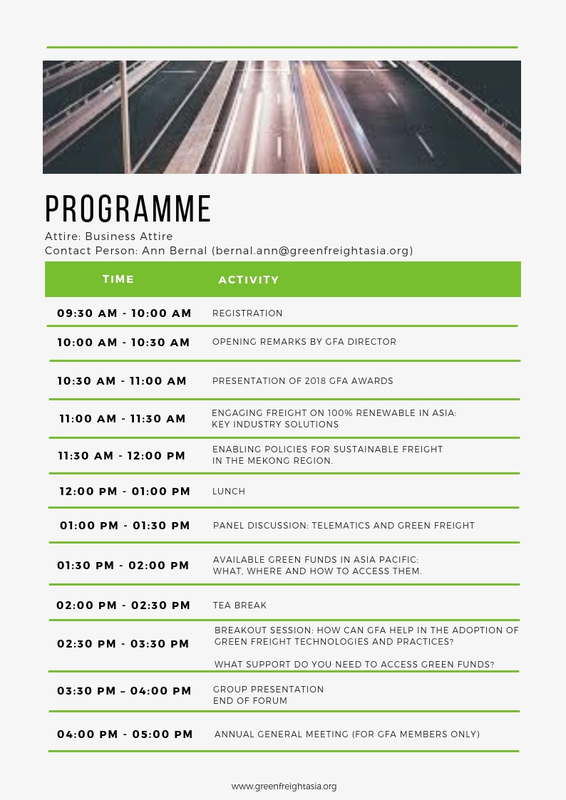 It will be a gathering of executives and professionals dedicated to the sustainable and efficient freight sector. The event is jointly organized by GFA and Smart Freight Centre and with sponsorship from GFA's members' - IKEA and Heineken. 3. Brief the participants on policy and regulatory trends, discuss industry development pathways, and introduce innovative technologies, measures and sustainable freight solutions. - CML, Sinotrans, Newbrother, and GFA member carriers, etc. We have limited seats. 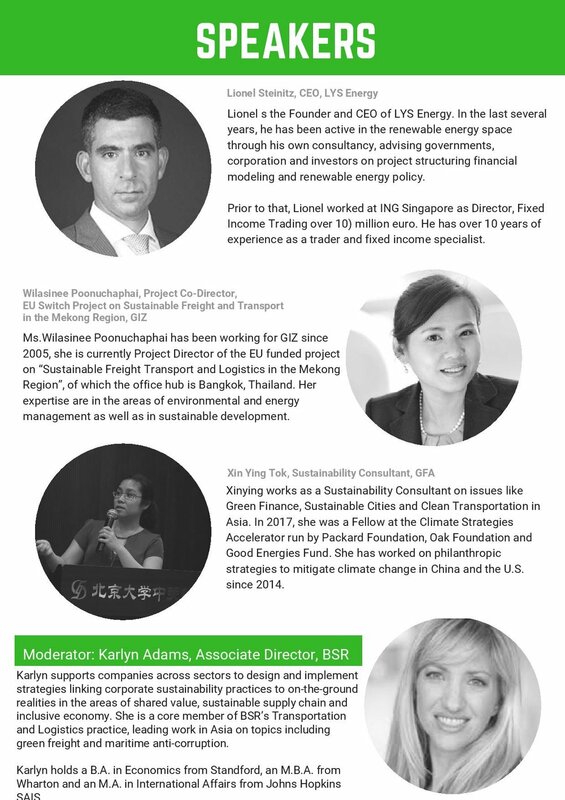 If you would like to join or would like to extend an invitation to your country representative or business partners in China, please let us know and email bernal.ann@greenfreightasia.org.